Why buy 10 servers when 2 will do? 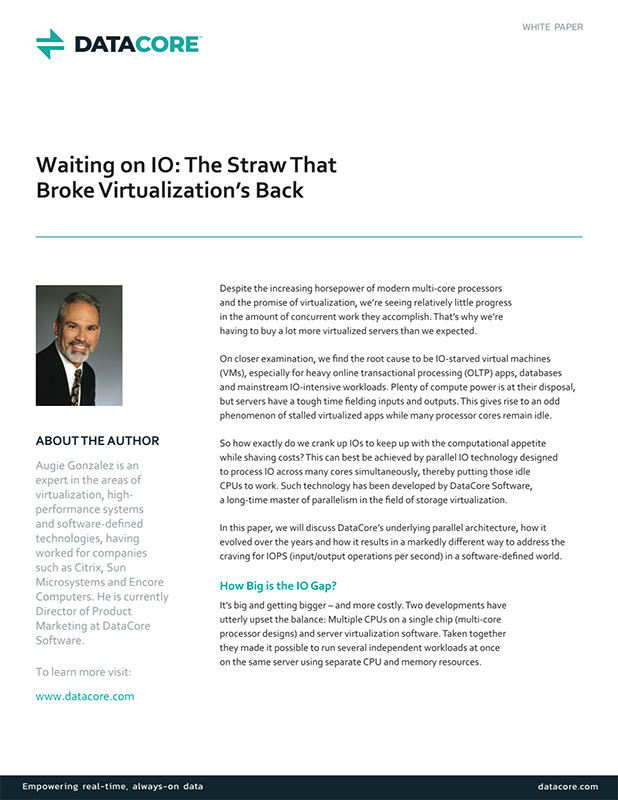 All workloads wait on one serial process for I/O, creating a bottleneck. Hypervisors, operating systems and container virtualization treat I/O serially even though workloads are scheduled to run in parallel across several CPUs.